May Day is nearly here, soon it will be time for May Day Posies!. I want this year to be the biggest yet, with everyone joining in, giving and receiving beautiful jars of hand picked blooms. If you are new to the blog, or would like a recap, let me tell you a little about the history and tradition of the May Day Posies. On the 1st of May, May Day, the celebration dates back to pre-Christian times, with the festival of Flora. Traditional May Day rites were celebrated and still are in many parts of the world, with the crowning of a May Queen, morris dancing and dancing around a May pole. Part of these celebrations is the ancient Pagan tradition of leaving May Baskets on friends and neighbours doorsteps, to signify the returning of Summer and all it’s beauty and abundance. This gentle tradition has lost its popularity since the late 20th Century, so I’d love us to revive it. In our own small way. 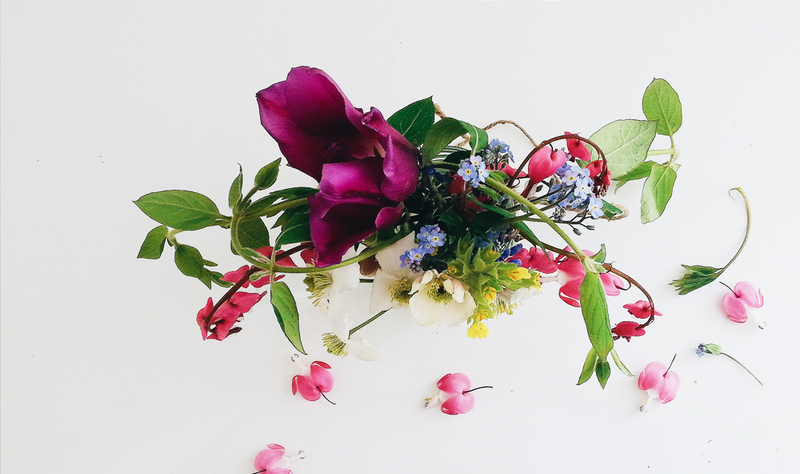 This is now my third year of celebrating May Day posies – so, will you join me? Here is how I made mine. 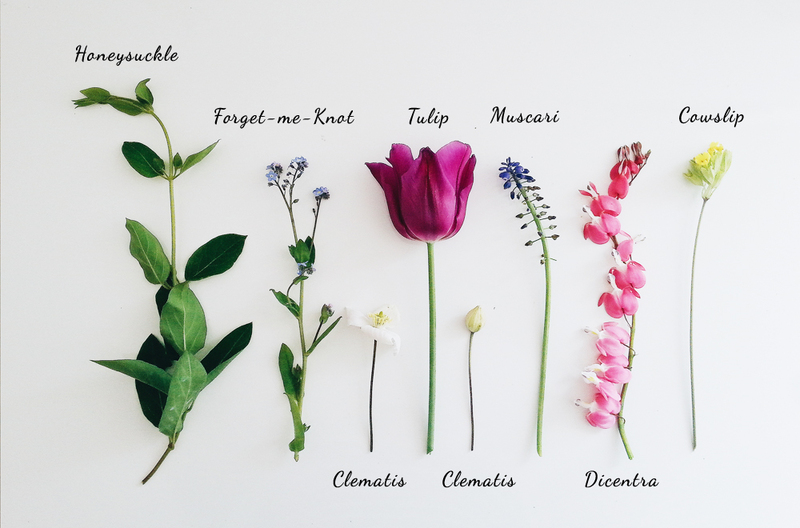 I never buy flowers for my posies, I prefer to use pickings from my gardens or (shhhh whispers….) go foraging for blossom, lilacs and cow parsley – but whatever you use, make sure you have enough variety to really fill your jars. Jam jar or any container which will hold water. I’ve seen pretty vintage tins used too. 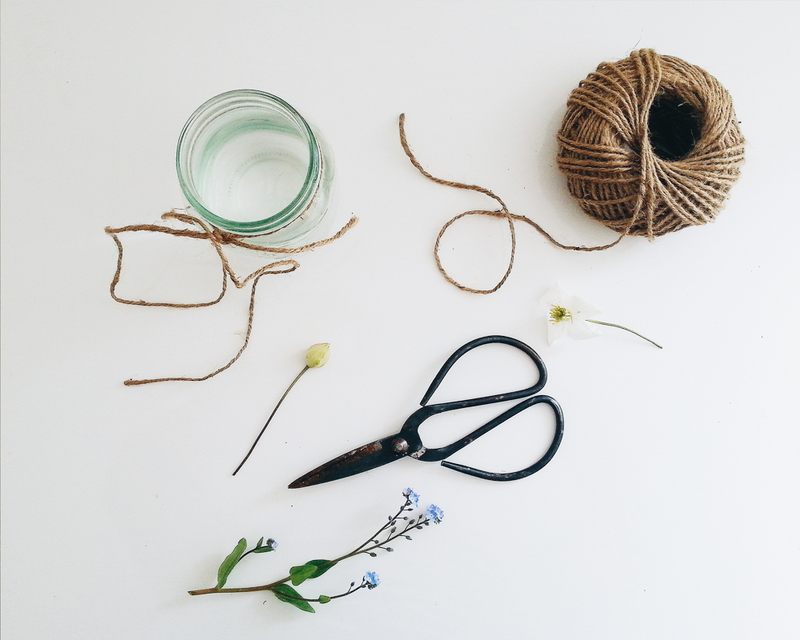 Cut a piece of garden twine long enough so that you can tie it around the neck of the jar, leaving a long end. Then, take the long end and tie it to the twine around the neck on the opposite site. This is should be long enough to loop over a door knob or handle and not to interfere with your arrangement. Starting with your main flower (I used a tulip here), add your blooms. Cutting the stems as you go at different heights to add interest. I also used fronds of honeysuckle, I find that adding some foliage to the posy, adds another dimension and interest. Fill your jar with water, just enough to cover the stems, but not so that it will spill in carriage. Cut out your label, and hole punch the hole. Add your name if you like, or leave it blank if you wish to remain anonymous. Attach your label to your jar with another piece of twine. Go spread May Day cheer – you are now an official May Day Fairy! You can see that I’ve also added a feather to the jar, why not?! Add whatever you like. A lace doily to decorate the jar, or use a length of pretty lace or ribbon to hang it? 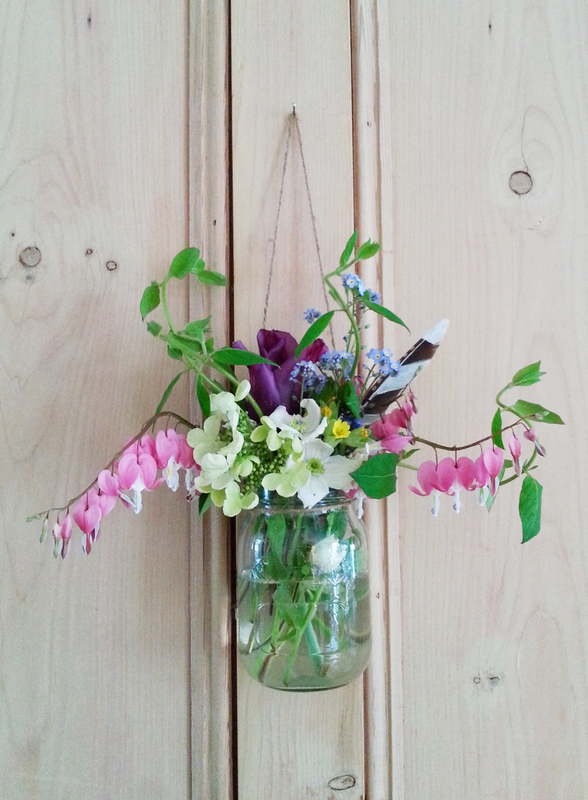 Don’t forget to take a photo of your posies hanging on the doors. Upload them onto Instagram using the hashtag #NITHMayDay. 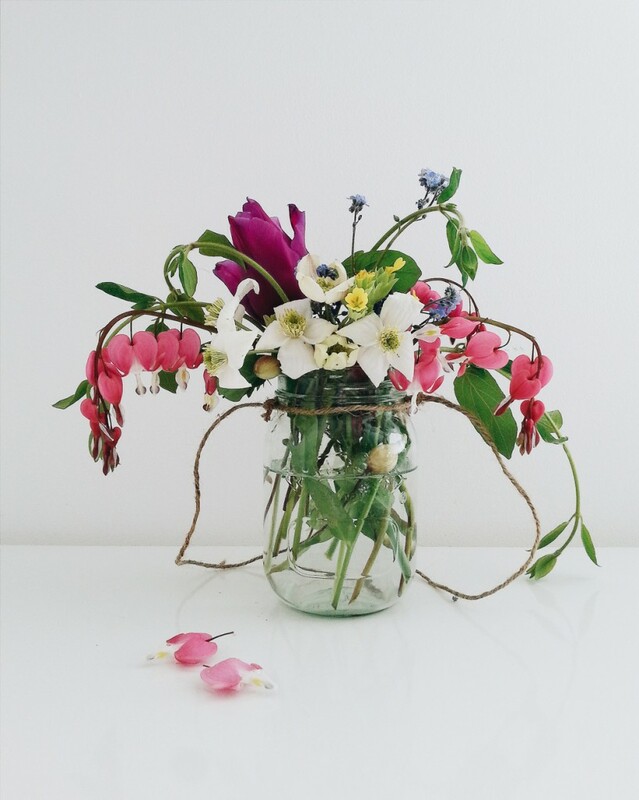 On Wednesday I will be joining Katy and Charlotte and the team At Mine – for a #stylingspringatmine workshop, where I shall be sharing how to make May Day posies with the group. Exciting! How wonderful, I’ve heard of washing your face in the dew but not May day posies. I will certainly join in.